In a food processor, process oats until coarsely chopped. 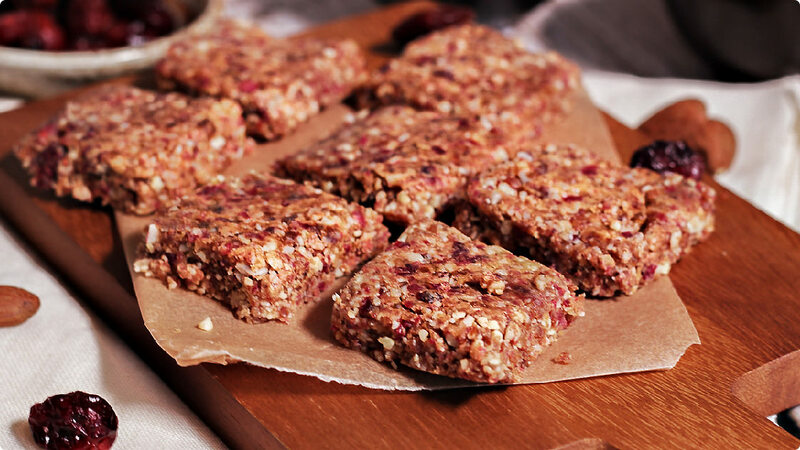 Place cashews, almonds, sunflower seeds and flaxseed in food processor and chop into small pieces. Remove and add to chopped oats. Add dates and cashew butter to food processor and process until very well combined and smooth. Mixture will start to form a ball. Press mixture into 8×8 inch baking pan. Make sure it is well compacted. * Raisins, apricots, dried blueberries, goji berries may be substituted for cranberries.